12th Golden Sandals "Eternal Diamond" from the English jeweler Christopher Michael Shellisa are a precious piece of jewelry that can be worn on the feet. 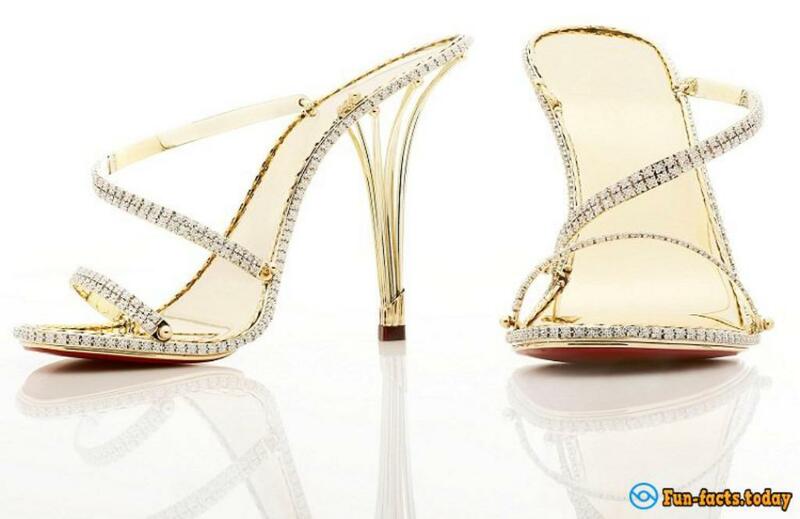 A pair of shoes made of pure gold strewn with 2200 diamonds, thus justifying their fabulous price - 220 thousand dollars. 11th place: Sandals "Diamond Dream", which cost 500 thousand dollars, were created by the famous designer of shoes Stuart Weitzman in tandem with the jeweler company Kwiat. To decorate the exclusive stiletto shoes heels-masters used 1420 colorless diamonds, weighing about 30 carats. Precious stones have been attached to the shoe by means of straps made of pure platinum. Lucky, who was honored to defile in these shoes on the red carpet at the Oscars in 2007, became an actress Anika Noni Rose. 10th place: Diamond shoes by New Zealand designer Kathryn Wilson, is a classic white pumps with gold stiletto heels, studded with faceted stones in a special way, with florid pattern across the surface of the shoe. This masterpiece, is inlaid with diamonds of 21.18 carats, worth 500 thousand dollars. 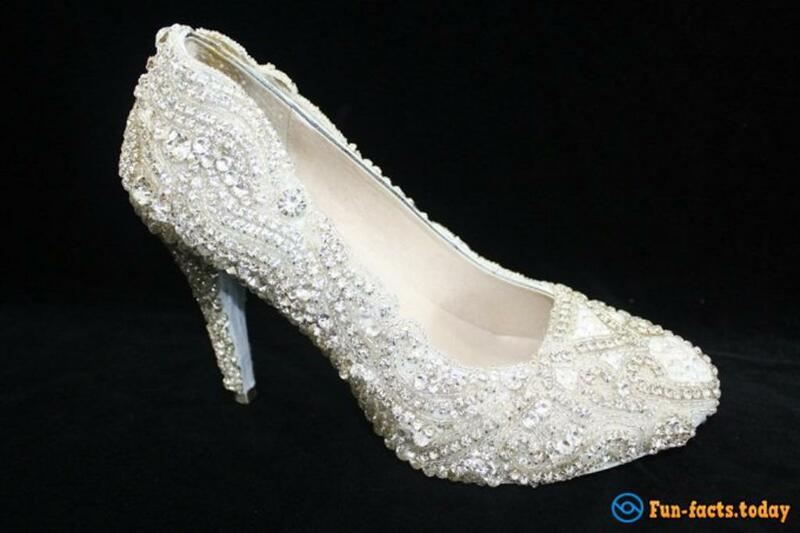 All in all shoes was decorated with 2000 diamonds, moreover the designer spent more than 50 hours to make it. Footwear was created specifically for the charity auction, which was organized to raise funds for a network of children's hospitals. This event was held in the autumn of 2013 at Oakland. 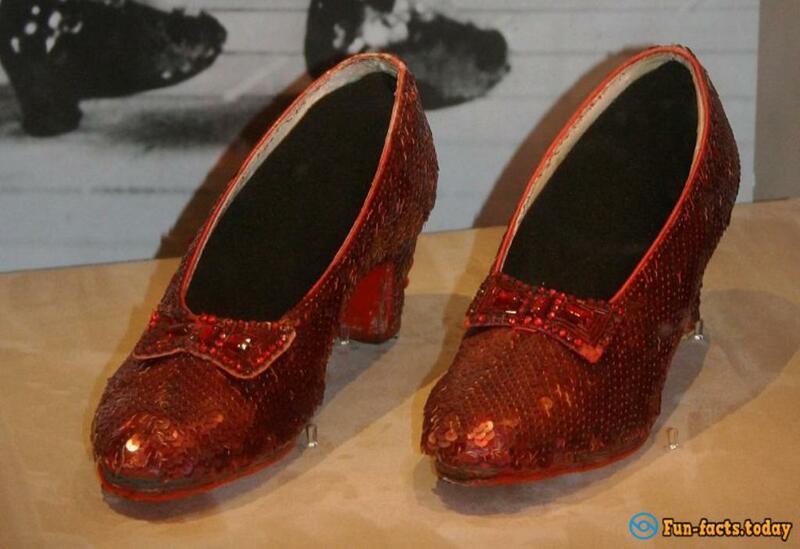 9th place: Ruby shoes of Dorothy from "The Wizard of Oz" - a real rarity representing, one of the famous pair of shoes, created in the amount of seven pairs specifically for shooting film in 1939. Today we know the fate of four of them. The first pair, a participant of our rating have been sold at Christie's auction in 2000 for 666,000 dollars. Another couple was part of the a collection of Judy Garland in Minnesota, but it was stolen in 2005. The third pair can be seen at the exhibition in Smithsonian Institution at the National Museum of History in Vashingote. Last pair was offered for sale in 2011 at auction with a starting price of 2 million dollars., But it has not received a single application yet. Those shoes are made of artificial silk, manufactured by Shoes Co., plus dressers of the movie "The Wizard of Oz" covered it with red beads and decorated with a buckle with three glass ornaments. 8th place: Court shoes Retro Rose from the already known to us leader in the field of exclusive shoes, Stuart Weitzmanю It is a model related to the style of the 40s. Silver court shoes with T-strap and gilded high heels decorated with rosettes and studded with more than 1,800 diamonds, weighing about 100 carats. Such a serious arsenal of jewels fully explains their cost, which reaches 1 million dollars.. Every year, Stuart Weitzman picks for its exquisite and incredibly expensive shoes new Hollywood star who effectively demonstrates them on the red carpet at the main event in the world film industry. 7th place: elegant heels from Stuart Weitzman with the eye-catching title, "Marilyn Monroe", topped by a large satin rose strewn with sparkling Swarovski crystals. These crystals explains the origin of the name of evening shoes: they had previously adorned earrings that belonged to the famous Marilyn Monroe. At the Academy Awards ceremony in 2005, they were shod by Regina King. After this event the pair of luxury shoes was bought at auction for $ 1 million. 6th place: sandals, stiletto heels "Platinum Guild" (Platinum Guild), the author of which is genius designer Stuart Weitzman, worth a fortune - 1.09 million conventional units. Their platinum straps encrusted with 464 round and pear-shaped diamond of Kwiat jeweler house. Precious stones can be removed and worn as jewelry. The first woman, who was lucky enough to wear this piece of art at the Academy Awards, was the actress Laura Harring in 2002. 5th place: "Ruby Lace" - another creation of Stuart Weitzman created under the influence of the fairy tale "The Wizard of Oz." Sandals with 11-inch high heels inspired by of Dorothy's slipper, has been trimmed with cherry-red satin with platinum accents, generously decorated with 642 round and oval rubies, total weight of 123.33 carats. It was planned that the first appearance of ruby sandals on the general public will be held at the Academy Awards ceremony at 2003, but the actress Judy Garland, which was supposed to appear in them on the red carpet, do not put them to the event. Later nevertheless they were presented at the exhibition in London. The cost of "Ruby sandals" is a very large sum - 2 million USD.